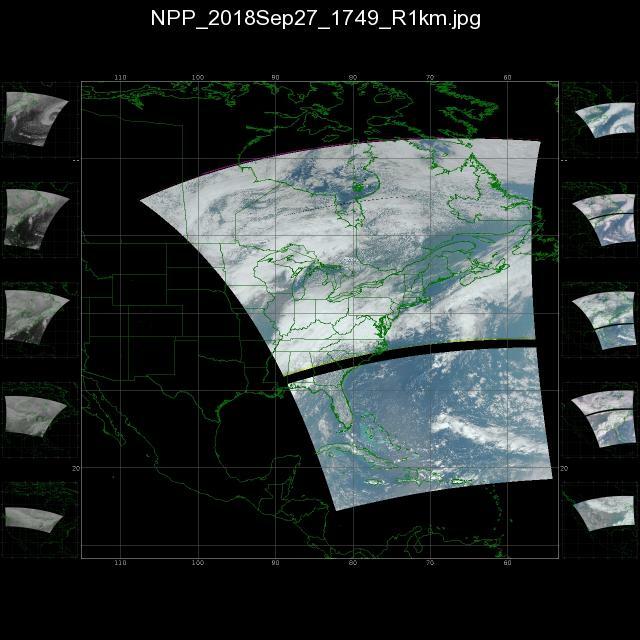 I noticed strange blank line in the middle of completely valid images from VIIRS. This looks like an error in the reception. 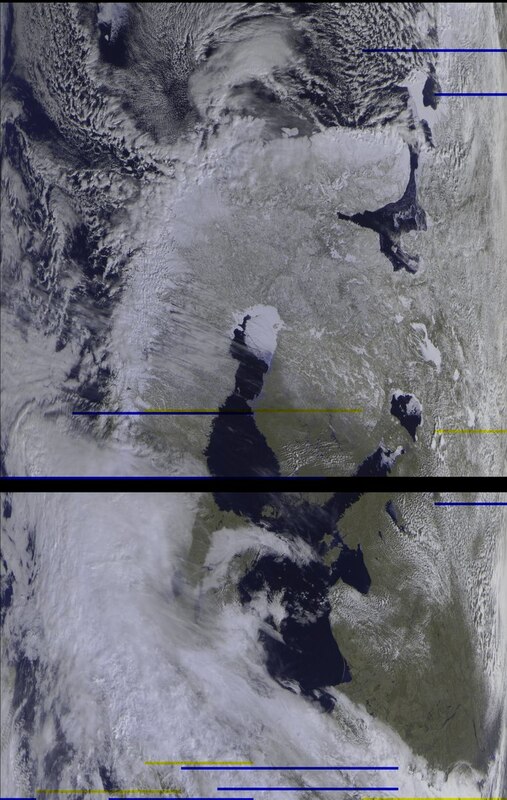 Would have go unnoticed, unless the same blank line in the middle of Meteor M images! Artifacts at the bottom and the top are expected. This could be caused by weak signal. I found the answer. At least for Meteor-M. Missing lines in the center of image is a satellite defect. According to the link, this could happen every ~6mins due to internal buffer overflow. I see this all the time in digital video and usually is not caused by a weak signal but a lag in the processor causing a digital skip or glitch in frames. Other possibilities are physical obstruction in transmission (debris in orbit), some truck drivers use highly modified illegal CB radios that cast interference on all frequencies acting like a jammer on nearby receivers, Electrical surge in the system causing electromagnetic interference, etc. Not the answer you're looking for? Browse other questions tagged artificial-satellite image-processing or ask your own question. Does NORAD have the only system that can track Santa? Why have so few countries developed satellite launching vehicles of their own? Can a space station have its own satellite? Why the different satellites have different orbits?